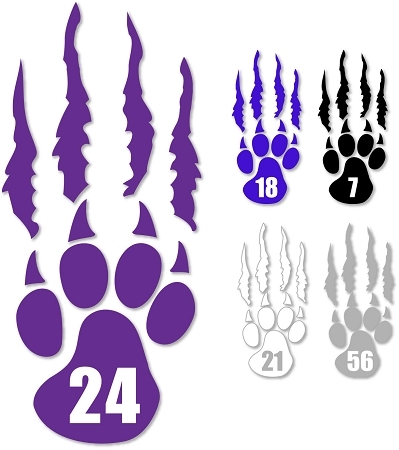 SilverWolves Paw and Tear - This unique *Personalized 8 inch high decal is made from commercial grade cast vinyl film. Cast vinyl, known in the industry as “premium vinyl” is the highest grade vinyl available and is designed to last from 8 to 10 years. *Ordering for a team – To receive your discount, order all your decals at once and upload or email your team numbers, (support@crewcolors.com). *Window Etch, White, Royal Blue, Black *Window Etch is a commercial grade cast vinyl frosted-glass film that creates the impression of frosted glass or etched graphics.